Partly cloudy this morning, then becoming cloudy during the afternoon. High 69F. Winds SSW at 10 to 15 mph.. Partly to mostly cloudy. Low 53F. Winds S at 5 to 10 mph. A press conference is scheduled for 8:30am. Watch it live here on khq.com and on our Facebook page. KHQ is receiving reports of multiple structures on fire in the downtown Sandpoint area on First Avenue. We are working to confirm additional details and are sending a crew. 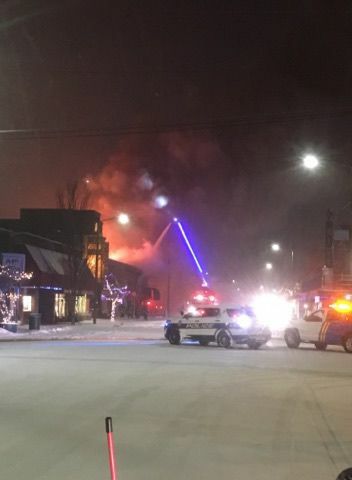 The City of Sandpoint said in a post to social media that four businesses have been lost. These photos are provided by a viewer. The city of Sandpoint is still moving forward after a February fire destroyed six businesses and caused millions of dollars of damage.